ESPUMA®Gentle is absorbent, atraumatic dressing made of polyurethane foam with polyurethane top sheet and perforated soft silicone gel wound contact layer. 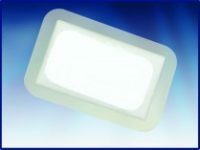 The outer surface is breathable polyurethane film which is waterproof, bacteria proof and viral barrier, while the wound contact layer is perforated soft silicone gel layer to prevent adherence to the wound, allow painless and atraumatic removal and allow passage of exudates to the absorbent foam layer. 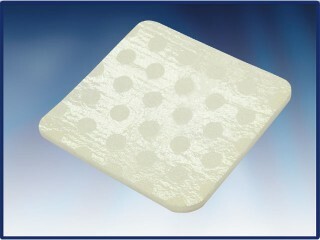 Gentle soft Silicone gel allows atraumatic dressing removal. 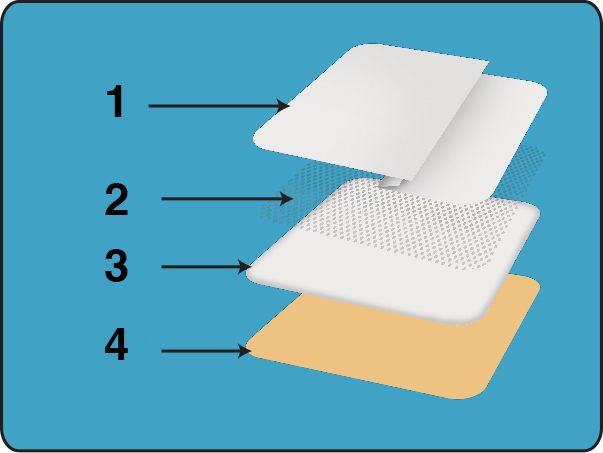 perforated silicone film, allow free passage of wound exudate to the foam so prevents skin maceration. High absorption capacity polyurethane foam also provides a cushioning effect. 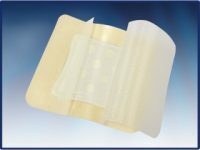 Highly breathable top sheet allows evaporation of absorbed exudates, thus it enhances fluid handling capacity of the dressing. Being waterproof, the top sheet prevents strike through and allows showering while the dressing is in place. ESPUMA® Gentle is suitable for dressing many types of exuding wounds including leg and pressure ulcers, surgical incisions and traumatic wounds resulting in skin loss, also may be used under compression bandaging. Do not use ESPUMA®Gentle dressings with oxidizing agents such as hypochlorite solutions or hydrogen peroxide, as these can break down the absorbent polyurethane component of the dressing. In case of infection, ESPUMA®Gentle still can be used but under medical supervision and with antimicrobial conjunctive therapy. The interval between dressing changes will normally be determined by the degree of exudate produced but the dressing may be left undisturbed for several days on clean lightly exuding wounds. ESPUMA®Gentle is supplied individually wrapped in heat sealable package, sterilized by ethylene oxide. A dressing should be selected that overlaps the wound margin by at least two centimeters. If required ESPUMA®Gentle may be cut to size or shape before removal of the protective film. Once in position the dressing may be held inplace with a bandage or other suitable fixation tape.